What is Shadow Artist Shimmer Stick? Let your eyes share magical moments with light beams. 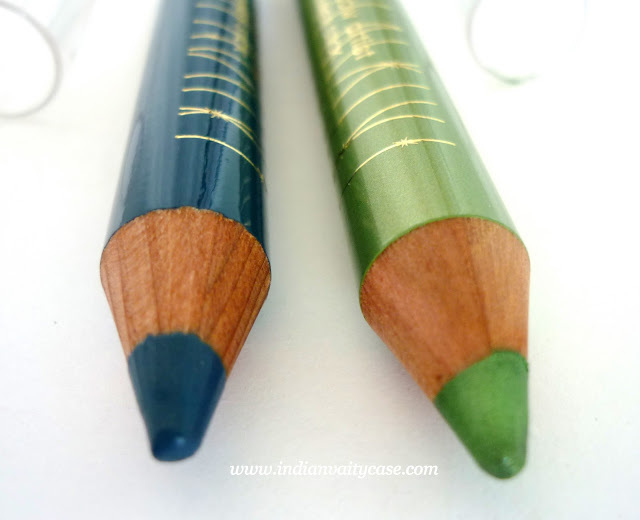 Creamy color pencils laced with super fine glitter, reflect light and bring a mesmerizing sparkle to your eyes. Edge, smudge, line, shadow, color or blend. Keep the mystery alive. Oh-my-gosh, I love these! Love, love, love. Did I say love yet? I prefer them to NYX Jumbo Pencils, coz they don't crease as much. 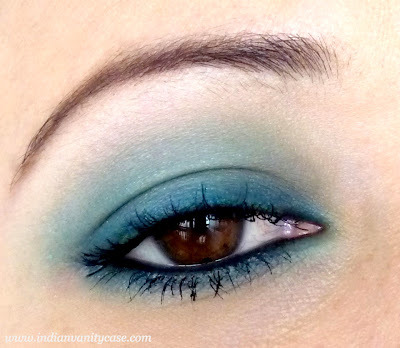 The feel of Astral Blue is almost like my favorite Bourjois Effet Smoky Eyes Pencil, but a little more intense. They are better than cream eyeshadows for sure. ♥ VERSATILE. 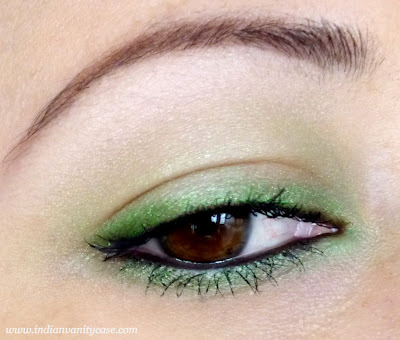 To quote Lakme- edge, smudge, line, shadow, color or blend. True story. ♥ Very Pigmented. They don't lose their colors when applied on the eyes. ♥ They blend beautifully. You don't necessarily need a brush to blend them, fingers do just fine. Although a brush will make the edges more precise. ♥ Can be used as eyeshadow bases. ♥ They are so easy to use & no-fuss. You can apply them in a moving bus, if not straight out of the pencil. ♥ Waterproof. They won't wash off until you use soap. Hence, long-wear. - Can't sharpen them even on my big sharpener. I tried sharpening only to end up breaking/squishing the tip. The sharpener only peels the wood around the pencil. What to do??? - They crease a little when applied all over lids, but that's expected otherwise they wouldn't be so blendable. The good thing is you can re-blend the line quickly with a finger. Astral Blue: Just Astral Blue. Doesn't it look gorgeous? 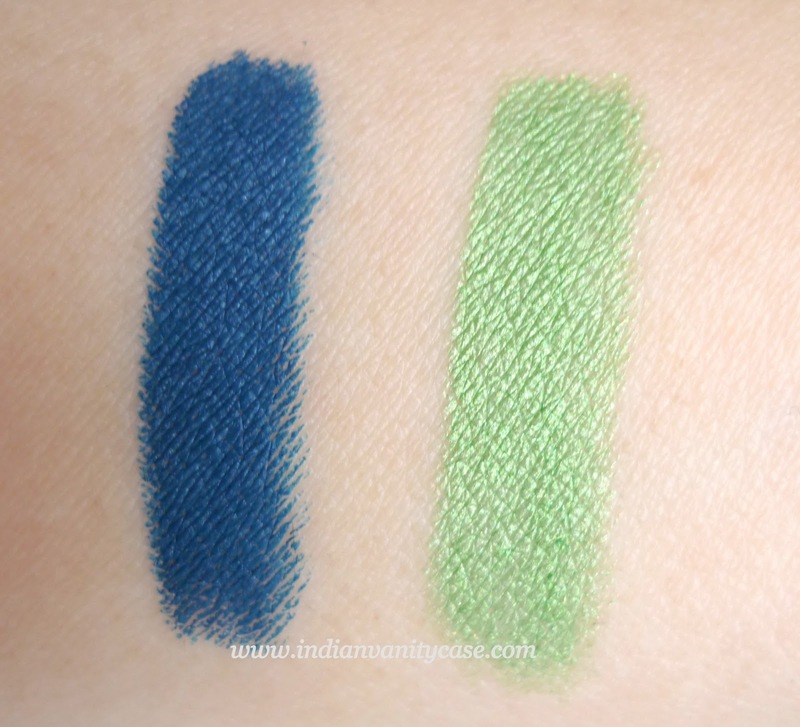 The shade is on the lines of MAC Eyeshadows in Deep Truth & Prussian. I like that it's looks almost matte.I applied only on my lash line and blended upwards up to the crease using a pencil brush. Glimmer Green: Did the same here. Although I did have to apply more on my lid, coz this shade is sheerer than Astral Blue. It's because this is more shimmery. I'm buying all of them. Maybe just Moon Beam, coz Starry Night looks similar to Astral Blue, but lets see. I hope they make more colors. Disclosure: Products were sent by PR for review purposes. I am not affiliated with the company nor am I being compensated for this post. Honest review, as always. The astral blue looks gorgeous! Love how you have worked on your eyes with it! I so love Astral Blue, your eyes look beautiful with that on! I like Astral Blue! I think I might even buy it..and your eyes are gorgeous!!!! Both look great, but as everybody is saying, the way you have worked with blue looks gorgeous!! astral blue is gorgeous !!! ooh!! Astral blue looks gorgeous on u!!! superb!! i have already seen these pencils in other blogs..but what i hadn't seen was how you could do your eyes sooo nicely with just those pencils! i am inspired. a couple of questions. 1. since they can be blended soo easily, do they smudge even if not intended? 2. in ur make up, have u also applied a black outline to your eyes or is it the shadow? Awesome product! Great work with the pencils. You've done your eyes beautifully! I'm sure you've heard this before but you have amazingly pretty eyes! pencil-sharpener you have. It seems to work for a few other brands, so maybe you'll have good luck with Lakme too. Wow loved the Astral blue!! !